Should You Incentivize Your WMS User Training? A warehouse management system (WMS) can save you significant time and money, improving your margins and growing your bottom line, but only if you have people who are trained to use it effectively and efficiently. Staff members respond well to a variety of incentives, from bonuses and extra vacation time to compliments and pizza. We’re big proponents of applying incentives to business practices that are proven to improve your efficiency and profitability, which is exactly what a WMS can do. Here are four of the biggest reasons why you should consider incentivizing your WMS staff training. One of the biggest benefits of creating an incentive for user training in your WMS is that it can significantly increase your ROI because it makes people more likely to use the system. 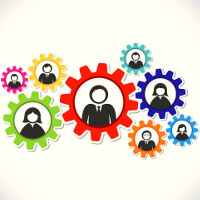 You’re more likely to get these holdouts to participate in user training when there are incentives, giving you ample opportunity to show them how your new WMS can make their jobs easier and less stressful, plus how those efficiency improvements may intertwine with larger incentives you already offer. Maximizing the buy-in of this group will require you to execute a thorough WMS selection process that matches your final choice with goals, savings, and features these employees respond to best, as Explore WMS notes. Adding an incentive program to your WMS user training gives you the best chance of having users who know the system beyond the interactions and functions they’ll use each day. A strong knowledge base is your best chance to be able to expand your WMS to new locations, products, or lines of business. You might also be able to use the data and reports your WMS generates to further other business processes when your team has a deeper understanding of what the WMS does. For example, pretend that you have a proprietary or siloed purchase order system. Your warehouse management tools can’t take over and generate purchase orders for you. However, you might be able to create a recurring, automatic report with WMS data that shows when you need to make purchase orders. Your system might be able to alert you when inventory thresholds aren’t met, triggering you to go into your PO system. Or, you might be able to export WMS data into a spreadsheet or common format that your PO system can upload, removing steps in the ordering process and making it easier for you to run your business more efficiently — plus cut out manual tasks that could generate costly errors. There are a variety of WMS user training options and guides that can help you figure out how best to train your team so that they take away the information that’s most important. Coupling the right methods with incentives, whether monetary or related to other work benefits, can ensure you have a knowledge base that’s ready to respond to emergencies or problems as they happen. 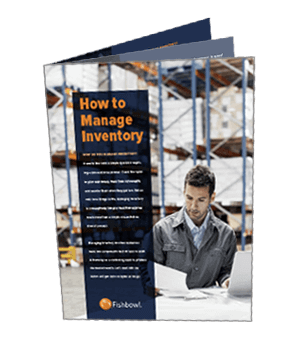 You want to make sure your team knows how to roll back your WMS to previous inventory counts, how to run audits or manage cycle counting disputes, or how to track every item from a specific lot in case of a product recall or service need. Making sure your team goes through the training will give them this knowledge before an emergency occurs so that they can jump right into the solution. Otherwise, they’ll have to take time reading or watching videos to catch up before they can act. If that’s the case, you should hope your WMS-provided training is still available, or you could be calling your vendor and paying for tech support. Many companies will focus on the cost of an incentive program, especially when it comes to smaller tasks that don’t have a clear path to increased profitability. Some would put warehouse management software and systems training in this bucket, but they’d be wrong. Warehouse performance is easy to tie to your profitability. A WMS can improve the speed at which you can fill orders, maximize your resupply purchases to never have too much inventory but never run out, reduce errors, and give your team more pick-and-pack time, so fewer damaged goods are leaving your warehouse. Automating processes not only reduce manual errors but they also reduce the time it takes to complete tasks. Cycle counting in a large warehouse can end up costing you days of shutdown time if it’s manual, but a continuous, automated process will give you those days back to keep filling orders. One of the best ways to achieve all of those improvements is to have a staff that’s fully trained on your WMS, and reaching that training level is easiest to accomplish when you incentivize it.